ARRI LPL Mount for RED DSMC2 Cameras allows ARRI LPL Signature Prime Lenses to be used with RED DSMC2 BRAINs with a full frame, VistaVision sized sensor (DSMC2 MONSTRO). 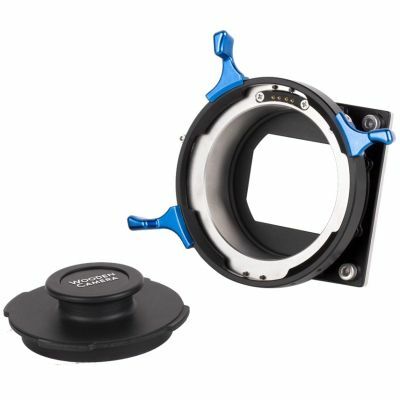 ARRI's LPL to PL Adapter is also compatible allowing easy change from standard PL lenses to LPL lenses. An external LDS-2 port is present but not currently utilized. Once external LDS-2 metadata workflows are created, this port can be connected to a metadata recorder. ARRI LPL Mount for RED DSMC2 Cameras is also compatible with the standard sensor size RED cameras like DSMC2 HELIUM, DSMC2 GEMINI, DSMC2 DRAGON-X, WEAPON HELIUM, EPIC-W HELIUM, EPIC-W GEMINI, SCARLET-W, and RED RAVEN. Also compatible with original DSMC cameras like EPIC DRAGON, SCARLET DRAGON, SCARLET MYSTERIUM-X, etc.